Spiritual Coaching Vol 3 #77 Great Society? On August 27, 1908 Lyndon Baines Johnson was born on a farm near Stonewall, Texas. He was a political animal if there ever was one. He grew up in an impoverished rural area and worked his way through a teachers’ training college before entering politics. He was known as brash and unvarnished. In 1937, LBJ won a seat in the House of Representatives. This service was interrupted by World War II, during which he served in the Navy and won the Silver Star for bravery in combat in the South Pacific. When he came back from the war, he served several terms in the House of Representatives until he was elected to the Senate in 1948. John F. Kennedy chose Johnson as his running mate to gain southern votes. They never really got along that well and LBJ was frustrated. In 1963, Johnson was thrust into the role of president when JFK was assassinated in Dallas, Texas. Can we to do better? The state of the American inner city is an unacceptable human tragedy. It is not just a redistribution of wealth from rich to poor as envisioned by Johnson – it is a systemic problem that in my estimation is more spiritual than political. We are trying to solve problems with money that instead require a change of heart and a willingness to have a vision more like that of Martin Luther King, Jr. We need an idealism that comes from spiritual leadership more than politics and law making. LBJ was great at the art of compromise and political arm twisting but the real change that we need is found in a spiritual call – “Let us not seek to satisfy our thirst for freedom by drinking from the cup of bitterness and hatred.” ML King, Jr. Read 1 Samuel 8 and think about the role of political leaders in the past and now. We need a spiritual revival that reaches out and tears down walls and does not try to trap people in a new kind of serfdom. This entry was posted in Coach's Blog, denny meyer, sabbath, Spiritual Coach - Denny Meyer, spiritual coaching and tagged coach denny meyer, denny meyer, LBJ, MLK, pastor dennis meyer, serfdom, spiritual coach, spiritual coach denny meyer, spiritual coaching. Bookmark the permalink. 2 Responses to Spiritual Coaching Vol 3 #77 Great Society? I think the goal of Medicare/Medicaid is to provide health care to the poor and elderly, and it has done that. That these programs haven’t provided spiritual fulfillment as well doesn’t mean they are failures. I pray that the day will come when we as a nation will see it as a moral duty to make sure that all our citizens have access to health care, rather than seeing it as a privilege. Those who don’t have medical care should have access to it – no doubt. The government has done a poor job of managing health care it – as it does most programs. The Great Society envisioned by LBJ has been a failure by almost all statistics. Spending more money has not raised people out of poverty and has not made health care better in America. The New York Times (hardly a conservative paper) wrote: “The Congressional Budget Office has disappointing news: Two decades worth of experiments to bring down Medicare costs have not worked well. The agency published results today from 10 Medicare demonstrations that have piloted new ways to coordinate care and tie provider payment to quality. The mindset that the government is the answer to our woes has been tested and continues to fail. We need leaders with spiritual fortitude to find new ways to address the societal problems. 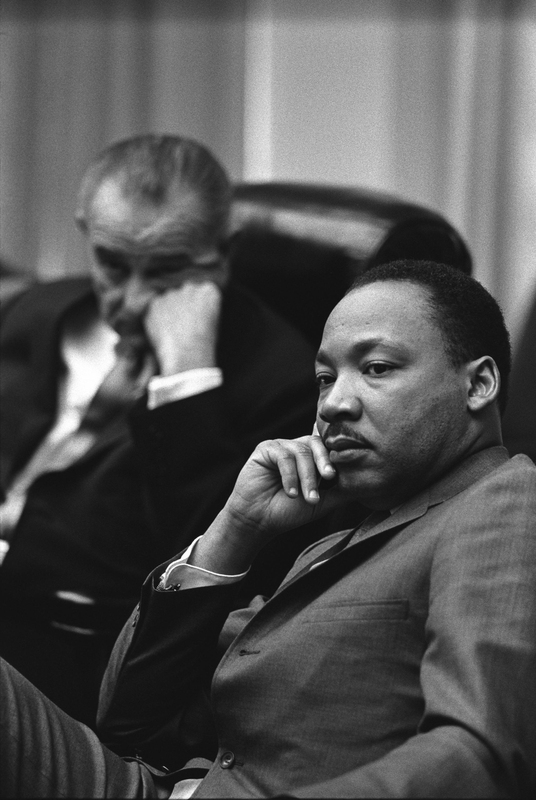 I believe spiritual leaders need to lead – as did Martin Luther King, Jr.